Nasal Cannulae are used for their simplicity and patient compliance in delivering supplementary oxygen. There is increased therapy compliance with nasal cannulae as patients are able to speak, eat and drink. Ambient air is entrained through the nostrils, with the FiO2 achieved being proportional to the flow rate of oxygen (1-6 l/min), the patient’s tidal volume, inspiratory flow rate, and the volume of the nasal pharynx. At an oxygen flow rate of 2 l/min the oxygen concentration in the hypopharynx of a resting person is 25% - 30%. Nasal Cannulae prevent rebreathing and are comfortable for long periods. Use of humidified oxygen is recommended to reduce discomfort and drying of the mucosal wall in the nasal cavities, particularly when using flows of greater than 4 l/min. The Cirrus™ 2 Nebuliser incorporates a number of features, including a graduated drug cup which provides guidance on how much drug is in the nebuliser. The cup has a quick-release fitting which enables the nebuliser to be attached, as well as detached, with a quarter turn. 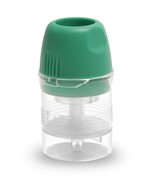 This speeds up the refilling process and provides a more reliable seal between the cup and the nebuliser body. 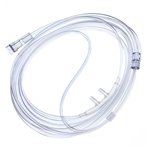 The Cirrus™ 2 Nebuliser is designed to deliver drugs for tracheobronchial deposition. At a driving gas flow of 8 L/min, the Mass Median Diameter (MMD) is 3.1 microns. The Intersurgical EcoLite™ tracheostomy mask is high quality, lightweight mask with a quick-release elastic for ease of use. Unlike traditional masks, the EcoLite™ contains no PVC which provides an option with a significantly lower impact on the environment for future generations. The latest manufacturing technology has enabled the combination of two non-PVC materials in the same product, the polypropylene material forming the body of the EcoLite™ mask is clear, lightweight and rigid enough to maintain the masks shape, whilst the second softer TPE material is utilised in the seal, which is in contact with the patients face. 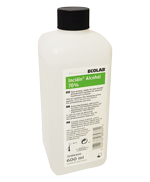 Incidin® Alcohol 70% (w/w) is an ethanol-based ready-to-use surface disinfectant solution which combines short contact times with simple handling. The enhanced formulation of Incidin® Alcohol 70% offers all the efficacy and practical applications of IMS solution with a less hazardous denaturant. 100ml contains 70ml denatured ethanol. Nytraguard® SkyBlue is a lightweight, high performance nitrile glove that is the perfect ‘all-round’ glove. Ideal for both clinical and general tasks, it offers high comfort, stretch and dexterity without compromising on strength and durability. 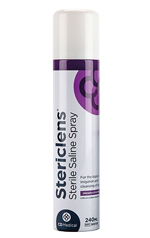 Stericlens® features unique spraying technology that allows it to spray when held in any position, even upside down. A step toward a greener future - The BD Emerald™ syringe for general purpose use has been produced in a more sustainable manner. The BD Emerald™ syringe for general purpose use complies with international performance standards - CE marked, ISO 7886-1 and ISO 549 compliant. In addition, BD Emerald™ syringes must meet over 40 specific criteria before they are qualified for use. Reduces waste disposal - A unique and innovative design allows the BD Emerald™ syringe to optimize the use of material, which results in up to 30% less weight than other syringes. Made of high quality White Nitrile, GN84 gloves are designed for high resistance and strong performance, whilst ensuring good dexterity. Twin-packed flexible aesthetic cannulas and sharp needles designed for operational efficiency and with your patient's comfort in mind. Each cannula with screw thread polycarbonate hub, is supplied with a slightly larger sharp pre-hole needle, giving practitioners the perfect match between cannula and needle to ensure maximum accuracy whilst maintaining optimum patient comfort. 2ply multi-purpose kitchen rolls suitable for all general purpose cleaning such as wiping furniture, worktops, windows and cars, mopping spills, cleaning hands, draining food, and cleaning up after pets. 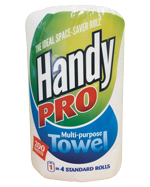 A jumbo sized multi-purpose kitchen towel ideal for cleaning in and around the home or office. Suitable for all general purpose cleaning such as wiping furniture, worktops, windows and cars, mopping spills, cleaning hands, draining food, and cleaning up after pets. An extra large multi-purpose liquid locking texture towel, that absorbs liquid, locking it into soft pockets within the towel giving you better performance that's also durable, soft and strong for lots of applications in the home and office. 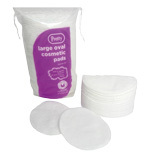 Heavy duty sheets ideal for large spillages, smear-free wipes - ideal for polishing glass. Suitable for all household and office cleaning tasks. High quality wide cotton headbands with an easily adjustable Velcro fastening. The high quality Velcro fastener ensures a comfortable and secure fit and that hair is kept neat and away from the face. Suitable for facial cleaning, showering, spa/skin treatments, applying makeup or sporty activities/gym. Ideal for spas, skin/beauty clinics and general cleansing. 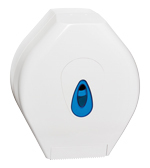 Length: 23" - Width: 3.5"
A jumbo toilet roll dispenser with an integrated reversible spigot which enables the use of different roll-core diameters. For use with both perforated and non-perforated paper. PermaFoam® Comfort is a foam wound dressing which has a large heat sensitive, hypoallergenic polyacrylate adhesive film border for a fixation which is safe and impermeable to germs. For the management of chronic draining wounds including pressure ulcers, leg ulcers and diabetic foot ulcers. For use on medium to heavy exuding wounds. Ideal for use under compression bandaging systems. 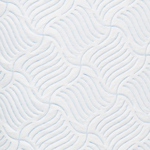 Aquacel® Foam is the only foam dressings that offers comfort, simplicity and the healing benefits of a Hydrofiber® contact layer. Designed for: Exuding wounds, Use as a primary dressing on shallow wounds, Use as a secondary dressing on highly exuding wounds, Use for a skin protection as part of a comprehensive protocol of care. General purpose receptacle, ideal for holding a variety of medical items including dressings, wipes or surgical instruments. 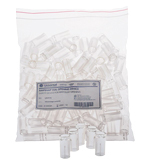 Soft-Ject® syringes have a high quality disposable rubber piston, which can help practitioners achieve significant savings from less product wastage. A lubricated synthetic rubber tipped piston allows for smooth draw while a positive stop prevents accidental pullout. The Low Dead Space Hub syringe has an extended rubber piston designed to reduce the effective space left behind in top part of the syringe, this results in savings of up to 0.3 ml of product. The 'Luer Lock' fitting allows for an even tighter connection because of the built-in interior treading, preventing "pop-off" of the hub when exposed to high pressures. The INViSIBLE Needle™ is the first needle of its kind and the thinnest needle available to date. Technology advancements have made it possible to make this needle 33% thinner than a 30G needle (used for insulin syringes) and 14% thinner than a 33G needle. This extremely small diameter results in a mere painless experience for patients and is ideal for BoNT injections. The LDS (Low Dead Space) needle hub is designed to reduce the effective space left behind in the needle hub as close to zero. This new patented LDS hub design results in savings of up to 0.08ml of product. The LDS needle hubs are made using an extremely hard polymer preventing "flexing" of the hub when exposed to high pressures which ultimately prevents leakage and needle pop-off. Designed to fulfil the most demanding surgeries and hospital ward requirements for a reliable, leak-free and easy to use machine that is not expensive to run and does not require constant maintenance and subsequent downtime. DispozABLE Spacer has been designed to meet a specific market need. It is a low cost, fast response spacer for delivering medication promptly. It is designed to be used straight from the box without pre-washing in an emergency situation; ambulance or school. 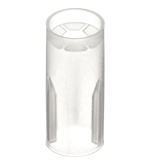 DispozABLE Spacer is to be used as a single use spacer, intuitive design allows non-professionals to assemble it quickly. 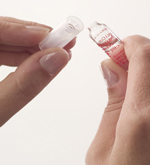 SOL-M™ Blunt Fill Needles are used for draw-up of medication, re-constitution of medication and accessing IV bags. Replace standard hypodermic needles and reduce the risk of needle stick injuries.